A Vermont hemp processor accused of stealing a contract farmer’s hemp crop won’t be held personally liable for any missing profits. A civil judge dismissed the personal liability case against Vermont Hemp Co. CEO Joel Bedard, according to Heady Vermont, a website that covers the state’s cannabis industry. The lawsuit against the company will continue, however. In the suit, landowner Cynthea Hausman alleges Bedard promised her at least $45,000 for growing several acres of hemp last year. Bedard. who provided the Ventura 75 hemp seeds, has told Marijuana Business Daily that the resulting crop couldn’t be sold because of rainy weather. 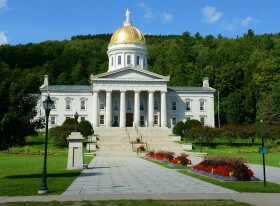 Hausman said Vermont Hemp Co. harvested the plants without her permission and that Bedard absconded with any profits. Bedard has denied promising any money to Hausman and has countersued for defamation. Vermont Hemp Co. grew about 200 aces of hemp last year, mostly seed and fiber varieties.